The rivers of Washington state's Olympic Peninsula have been a favorite for anglers around the world. 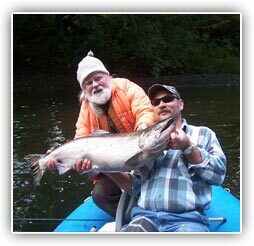 These rivers offer Chinook and coho salmon as well as the Olympic Peninsula's famous steelhead. You will be fishing from a heated 17' drift boat or a 16ft raft, in low water conditions, and using top of the line gear & tactics to ensure fish on action. The king and silver fishing on the Olympic Peninsula is a great opportunity for anglers to get their salmon fishing fix and fill the freezer. These fish are fresh from the ocean by hours. Fishing for salmon in the rivers isn't the same as in the ocean. These fish are limited on space and put up a great battle. With light gear you can witness an awesome display of power and energy. Whether fishing from the 17' Willie Boat, when the water is up, or the Outcast raft, in low water conditions, the comfort level is high. The gear and the line are light for maximum hookups and durable enough to land the biggest of the big. When the day is done I will gut and gill the fish and bag them for you. You will need to keep them on ice to ensure freshness. The best for fall fishing is Oct. and Nov.
Spring kings start mid April - June. 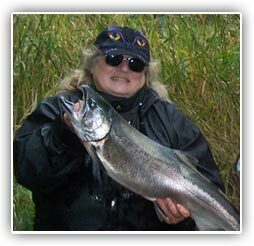 I am now booking for fall kings in the Sol Duc, Bogachiel, Quillayute and Hoh rivers. The best action is in October and November and openings fill quickly. 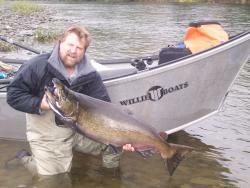 I am also booking December, hatchery steelhead in the same rivers. A 3 fish limit makes this a popular fishery as well. January starts the native steelhead runs. 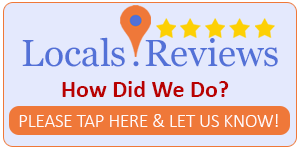 These fish are the most popular with sport anglers and the Olympic Peninsula is known for producing fish in the mid teens and trophies of 20 pounds plus.